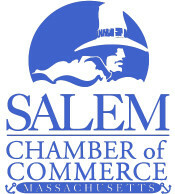 The Salem Chamber of Commerce’s 93rd Annual Celebrate Salem Awards Dinner took place in the beautiful Atrium of the Peabody Essex Museum on the evening of Wednesday, April 22, 2015. The program of the evening included the presentation of the 2014 “Celebrate Salem Awards”. Awards were presented in the following categories: Businessman of the Year, Businesswoman of the Year, Community Service, Excellence in Retailing, Long-Term Achievement, and New Business of the Year. Bearing in mind that April 22 is Earth Day, combined with the fact that PEM has 3 exhibits in 2015 focused on the medium ‘wood’, “Branching Out” was the theme for this year’s event. Local wood-turning artist Tommy Gagnon create this year's awards. If you would like more information, or if you would like to discuss your options with us, please call T. 978-744-0004, or email us.